Could Spyro Reignited finally be headed to Switch? Reddit User mrculurien provided the following image from the German division of Gamestop which is currently taking preorders for the game on the Switch. 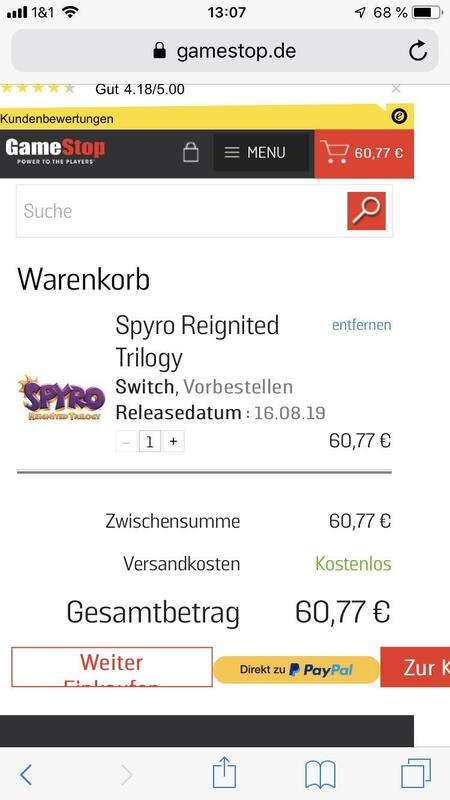 The game is on the German Gamestop website for 60 Euro which is roughly $100 here in good ole NZ and has a release date of 16th August. Have you been holding out for this release on Switch or will you be double dipping on this entry?